With 21 days left until the Scotiabank 5K & Half-Marathon, fundraising is in full swing by DEWC staff, Board members, volunteers, and supporters for the Scotiabank Charity Challenge. 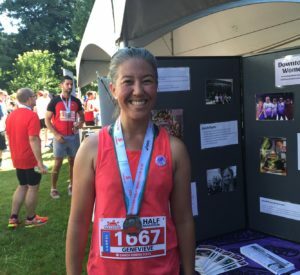 The Scotiabank Charity Challenge is part of the Scotiabank Half-Marathon & 5K that happens every summer, allowing organizations to crowdsource donations with no additional cost. That means that 100% of donations gathered by individuals go straight to DEWC! 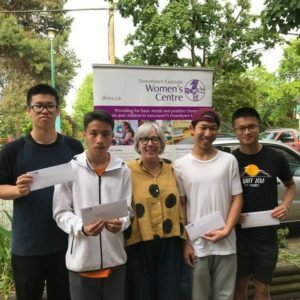 When you register to run and fundraise for the Women’s Centre, you’re multiplying your impact and extending our reach in the community. 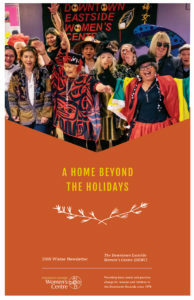 Tag us @Downtown Eastside Women’s Centre on Facebook and @DEWCVancouver on Twitter and Instagram, and use the hashtag #doitforDEWC to share your own fundraising successes with us! Genevieve is baking challah and sourdough bread as a reward for supporters! You can sponsor Genevieve on her fundraising page. Alexandra has put together a promotional video that might prompt a laugh or two. 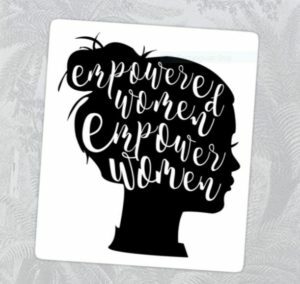 She’s also giving out feminist stickers to amplify her cause! You can sponsor Alexandra on her fundraising page. 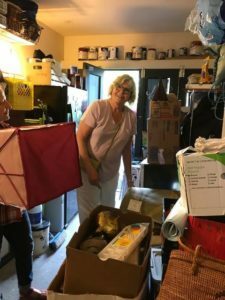 Kate and Roberta, with the help of student volunteers, hosted a huge yard sale in Strathcona with proceeds going towards their totals. Sponsor Kate or Roberta on their fundraising pages. 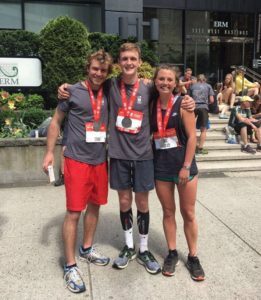 Jenny and Eddie are students on exchange from Edinburgh at UBC, and to give back to the community here in Vancouver, they ran a marathon and fundraised for DEWC! Thanks Jenny and Eddie for your hard work, heartfelt support, and dedication. It’s not too late to join Team DEWC in the Scotiabank Charity Challenge, raising funds for the Downtown Eastside Women’s Centre! We’re gathering support primarily for our meal program, which feeds more than 500 women every day. 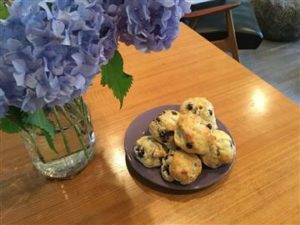 Your help is much appreciated in ensuring women in the Downtown Eastside are served hot, nutritious meals in a safe and welcoming space. Can’t run but still want to give to the cause? We’re aiming for $30,000. Donate to Team DEWC to add to our total!